The best dioramas always have an implied narrative going on. 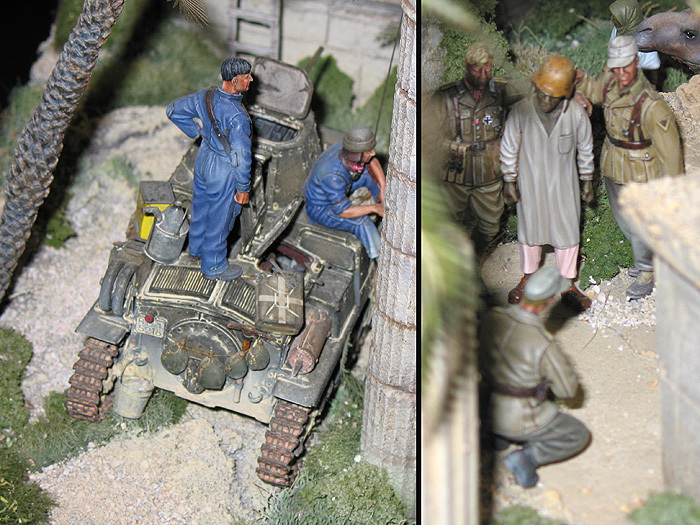 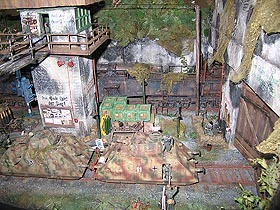 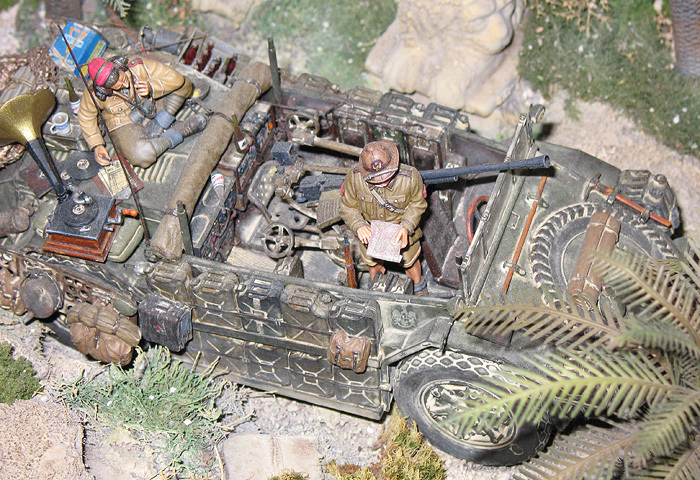 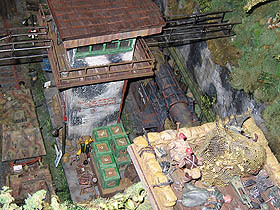 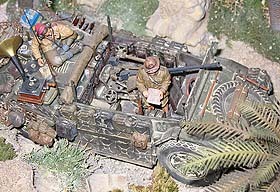 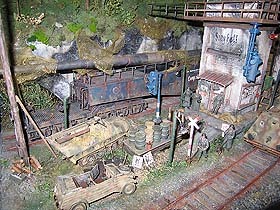 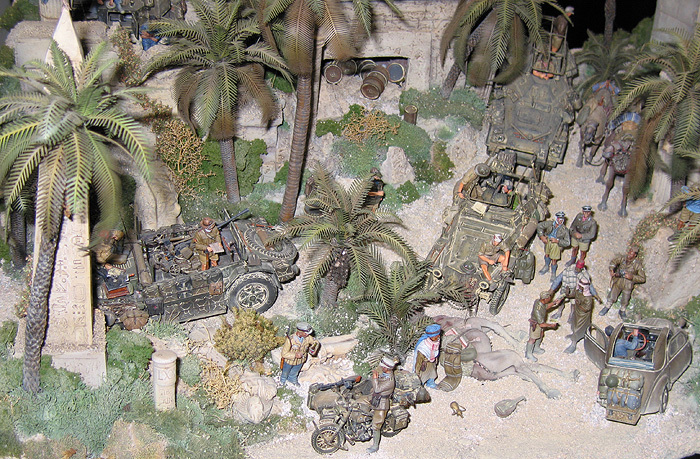 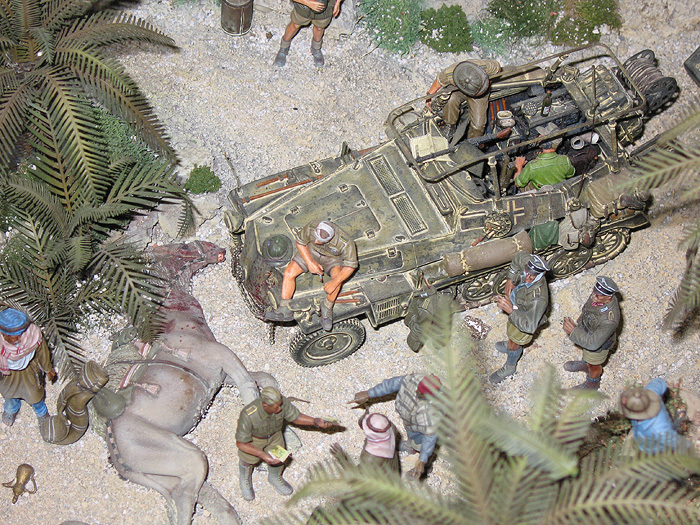 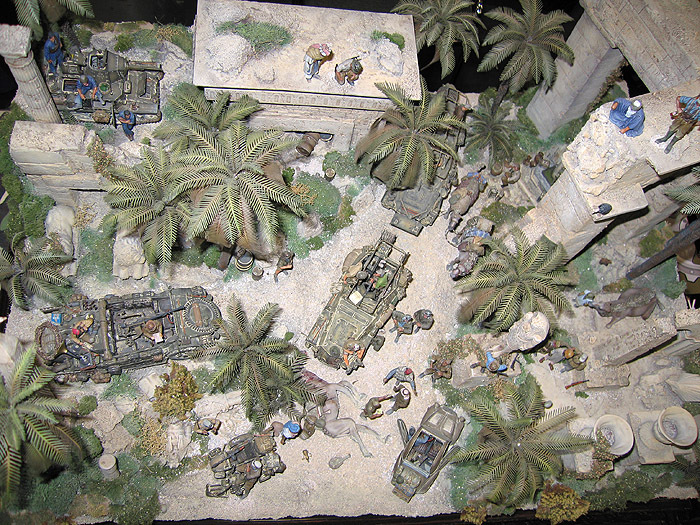 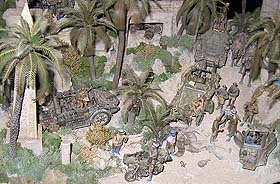 In this railraod diorama, a couple of British commandos have taken out a German sentry and are about to cause some trouble. 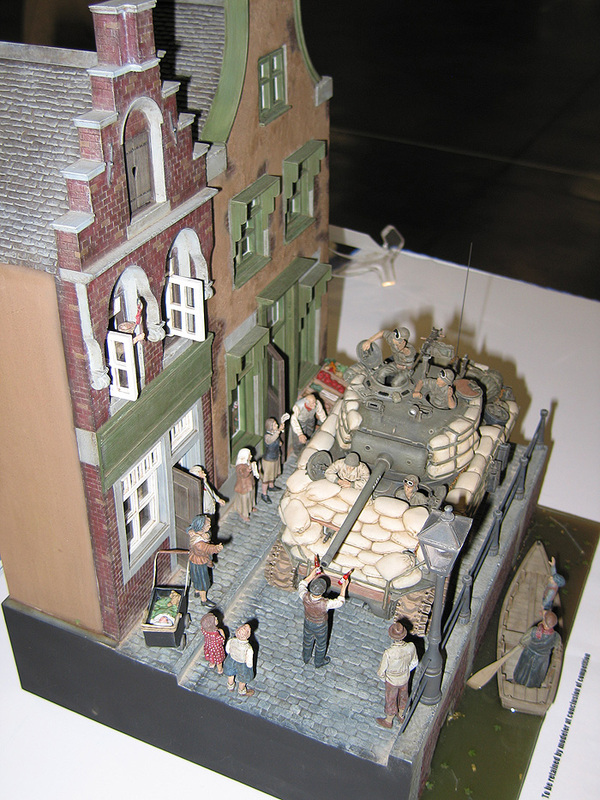 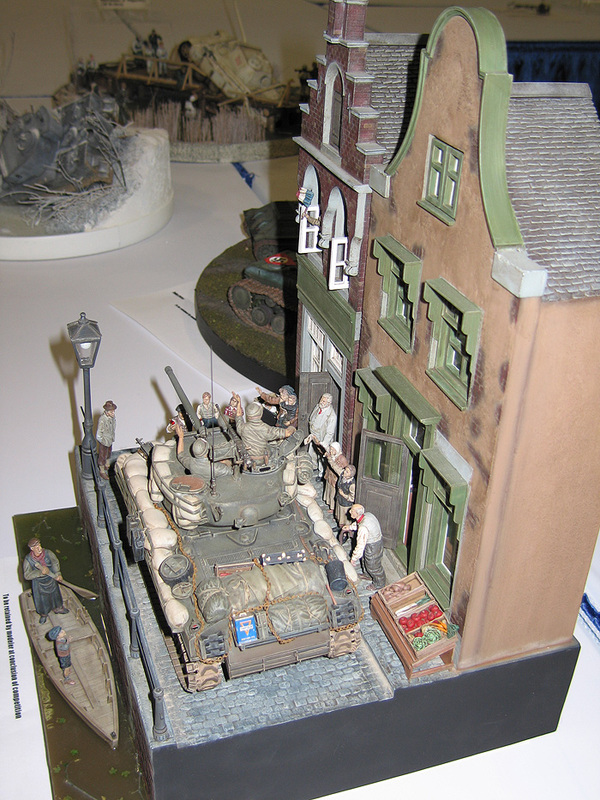 Below is a depiction of an Allied tank arriving in a French town, much to the inhabitants' delight. 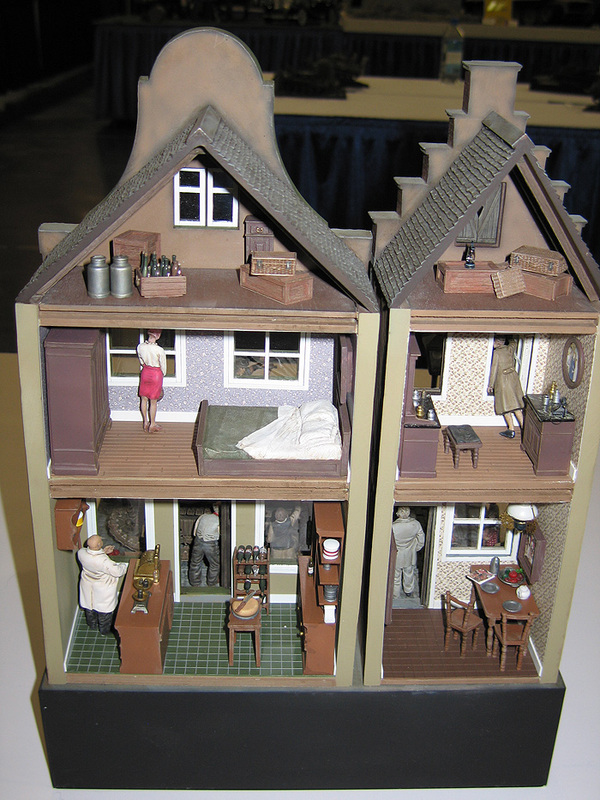 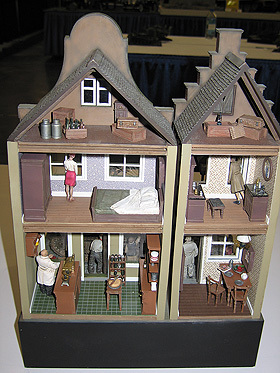 The impressive thing about this French townhouse model is that you can see the buildings' interiors from the back! 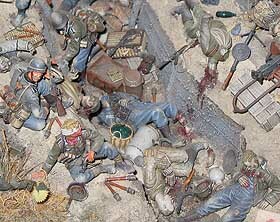 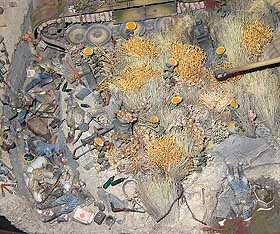 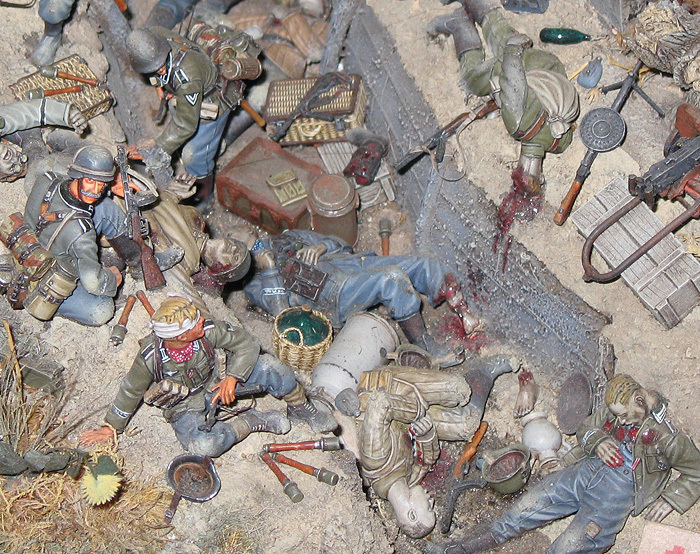 Below is the most gruesome battlefield diorama I've ever seen. 'Nuff said.